Mike Ditka had been a popular and successful player and coach with the Chicago Bears, and was making his return to Chicago as head coach of the New Orleans Saints for a game on October 5, 1997. It was hardly a marquee matchup, however, as both teams were playing poorly. There were those pundits who referred to the contest as “the Peyton Manning Bowl”, with the presumption that the loser might well be on the way to having the first overall pick in the ’98 NFL draft that would presumably be used to select the Univ. of Tennessee’s star quarterback. 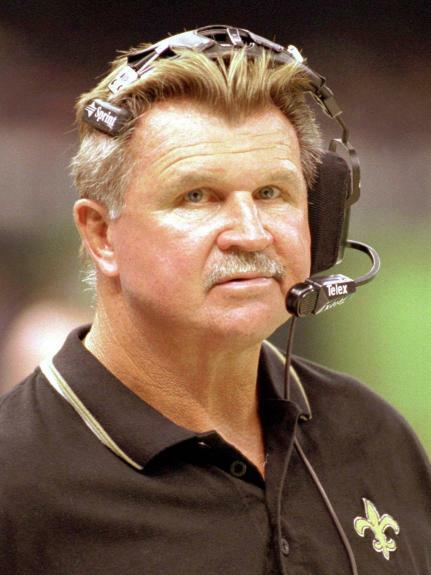 The Saints were coming off a 3-13 record in 1996 and, with Ditka now at the helm, had a 1-4 tally thus far. The defense was showing signs of improvement, but the offense was mediocre at best. QB Heath Shuler was a first-round bust in Washington and clearly nothing more than a stopgap for his new team. WR Randal Hill was the best of the receivers, the running backs were nondescript, and the line, other than OT William Roaf, was poor. The Bears, in their fifth year under Ditka’s successor as head coach, Dave Wannstedt, were just a shadow of the team that had won in double figures five times in a row under “Iron Mike”, including a NFL Championship in 1985. Chicago had last been to the playoffs in ’94, was coming off a 7-9 record in ’96, and was off to an abysmal 0-5 start. QB Erik Kramer was under challenge from another first-round disappointment, Rick Mirer, late of the Seahawks. RB Raymont Harris led the running game but the best wide receiver, Curtis Conway, was injured. The defense was not at all formidable, especially the weak pass rush. There were 58,865 fans in attendance for the Sunday night game at Soldier Field and they gave Ditka a warm welcome. The game they saw was sloppy, at best. The teams traded punts to start the contest before New Orleans RB Mario Bates fumbled and DT Paul Grasmanis recovered for the Bears at the Saints’ 32. Rick Mirer immediately threw to TE Ryan Wetnight for a gain of 24 yards and, four plays later, Jeff Jaeger kicked a 23-yard field goal. The Bears quickly got the ball back when FS John Mangum intercepted a pass by Heath Shuler, but they were unable to capitalize on the turnover this time and punted. Neither team was able to mount a threat for the remainder of the opening period. That remained the case until, with just over four minutes remaining in the half, Shuler completed a pass to TE John Farquhar for 42 yards to the Chicago 27. Another completion to Farquhar picked up nine yards and, as the clock ticked down to the two-minute warning, Doug Brien kicked a 38-yard field goal to tie the score at 3-3, and thus it remained at halftime. The Bears, who now had Erik Kramer at quarterback, had the opening possession of the third quarter, went three-and-out, and punted. Shuler completed two passes and Bates then broke away for a 49-yard touchdown run. Brien added the extra point and the visitors were in front by 10-3. Following another Chicago punt, the Saints advanced 41 yards in eight plays, the biggest of which was a 27-yard run by FB Ray Zellars. The drive stalled at the Bears’ 31 and Brien booted a 48-yard field goal to stretch the New Orleans lead to ten points. The penalty-filled contest headed into the fourth quarter. The Bears finally mounted a scoring drive after getting good field position at the New Orleans 33 following a punt from deep inside Saints’ territory. Kramer threw to WR Chris Penn for 14 yards and to WR Bobby Engram for 12 in a third-and-five situation at the 14. Kramer carried for the last yard and a TD, and with Jaeger’s conversion, the New Orleans lead was cut to 13-10. On the next series, Shuler fumbled deep in his own territory and DT Jim Flanigan recovered at the Saints’ eight. A pass interference penalty in the end zone moved the ball to the one and from there Raymont Harris blasted up the middle for a TD. Jaeger added the extra point and the Bears were in front by 17-13 with six minutes left in the game. The home crowd was cheering, but the celebration, as well as Chicago’s lead, didn’t last long. On the first play following the ensuing kickoff, Shuler passed to WR Randal Hill and he went the distance for an 89-yard touchdown. Brien kicked the PAT and the Saints were back on top by three. With Kramer passing on almost every down, the Bears moved down the field, converting a fourth down along the way. But after reaching the New Orleans 38, Kramer was sacked on third down for a six-yard loss by DT Wayne Martin and a fourth down pass to Engram came up a yard short. That essentially settled the matter – Chicago got the ball back once more following a New Orleans punt, but with 12 seconds remaining. Ditka and the Saints came away winners by a score of 20-17. The teams combined for 21 punts, with 12 by the Bears and 9 for New Orleans, and 18 penalties, evenly distributed at nine apiece. The Saints accumulated the most total yards (322 to 266) while Chicago had more first downs (19 to 11). New Orleans also recorded five sacks, to two by the Bears, but also turned the ball over three times, while Chicago had none. Heath Shuler completed just 9 of 23 passes for 195 yards and the one long touchdown as well as one interception. Randal Hill (pictured above), thanks to the big TD, gained 121 yards on 5 catches. Ray Zellars rushed for 65 yards on 14 carries and Mario Bates contributed 58 yards and a touchdown on his 9 attempts. For the Bears, Rick Mirer was successful on only 7 of his 16 throws for 58 yards and Erik Kramer was 12 of 20 for 131 yards in relief. Raymont Harris gained 82 yards on 28 rushing attempts that included a score. Bobby Engram had 6 pass receptions for 59 yards. “I’m sure a lot of people turned off their TVs, it wasn’t pretty,” summed up Mike Ditka. The Saints went on to lose their next three games, although they rallied somewhat during the second half of the season to finish with a 6-10 record that placed fourth in the NFC West. Chicago reached 0-7 before finally entering the win column and placed last in the NFC Central at 4-12. Despite the “Peyton Manning Bowl” speculation, it was the 3-13 Indianapolis Colts who ultimately ended up with the first overall draft pick that was used to take Manning. As for the game’s two starting quarterbacks, Heath Shuler’s winning touchdown pass was one of only two that he tossed all season, while giving up 14 interceptions and losing the starting job (ultimately to Billy Joe Hobert). It would prove to be the last year of his disappointing pro career. Rick Mirer yielded the starting job back to Erik Kramer and threw a total of 103 passes in 1997, with none for touchdowns and six interceptions, and averaging just 4.1 yards per attempt. He moved on to journeyman status, starting with a year in Green Bay in which he saw no action. 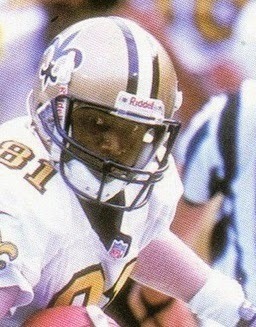 Mike Ditka’s stated intention was to have the Saints in contention in three years, but another 6-10 record in 1998 was followed by a controversial decision to trade the entire 1999 draft slate in order to move up in the first round and take RB Ricky Williams, the highly-touted Heisman Trophy winner from Texas. The result was a drop to 3-13 and Ditka was finished, having posted a record of 15-33 in New Orleans.